There has been much talk over why marijuana businesses need marijuana payment solutions. Much has been debated and discussed concerning why it is not safe or practical for these businesses to have to operate in cash only. However, not much has been said about why most financial institutions fear banking with cannabis businesses so much. Understanding some of the challenges that banks and credit unions face can help to identify and develop the solutions needed to address the problem(s). In fact, much is being done on the federal and local levels, by companies, government authorities and financial institutions to find solutions. Some of the primary issues include risk, work, and profitability. Cannabis is still illegal at the federal level. Because of this, banking for the cannabis industry is automatically risky for any financial institution and its governing board. A lot of time and work is required in fully understanding and meet the federal regulations that are involved. In the end, there may not be enough profit to justify the work and risk involved. The problem is not that banks do not wish to offer their services. Many regional and community banks have expressed that they would like to service the cannabis industry. While federal law does not prohibit financial institutions from accepting cannabis accounts, the financial regulatory system imposes so many requirements it makes the idea seemingly impossible. 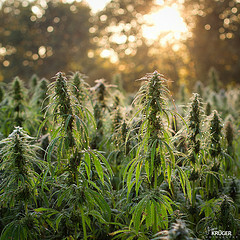 Some of the risks involved for financial institutions that work with the cannabis industry include: (1) the potential criminal liability, (2) the withdrawal of deposit insurance by the FinCEN, (3) the sudden seizure of assets, (4) the vulnerability of loan collateral, and (5) the increased exposure to civil lawsuits. In most cases, the reward simply does appear to outweigh the risk. In addition to the research and training that must be done, there is much more “busy” work to do as well. Financial institutions must comply with the Bank Secrecy Act requirement that a Suspicious Activities Report (SAR) is filed on substantial or frequent cash transactions ($10,000 and above). The institution is only given 30 days to verify the transaction as legitimate. Otherwise, a report must be filed. In addition, the cost for the financial institution for filling each SAR can range anywhere from $50 to $200. “Marijuana Limited” SARS are filed if a business is involved with or related to the production, distribution or sale of cannabis but not in violation of state law or Cole Memorandum; this SAR simply provides the FinCen with identifying information and addresses. “Marijuana Priority” SARs would be filed if a financial institution suspects that one of the Cole Memorandum’s priorities has been violated. “Marijuana Termination” SARs are filed whenever a financial institution terminates a marijuana related account. The deciding question is this: is it possible for a financial institution to service a state-legal cannabis industry, meet Financial Crimes Enforcement Network, Federal Deposit Insurance Corporation or National Credit Union Administration, Federal Reserve, and Justice Department requirements, and still make money? You can see now why many financial institutions question whether or not it is worth the risk to offer marijuana processing solutions to businesses. This is also why many leaders in the industry are so adamant that change must first take place on the federal level before the industry can really make progress with the banks. This entry was posted in Marijuana Merchant Account and tagged marijuana payment processing, medical marijuana payment processing by admin. Bookmark the permalink.